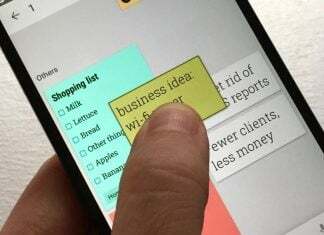 In today’s world of tech, you can’t turn a virtual corner on the internet without running into some new gadget, charger, cable, or something related to our ever expanding mobile lives. Amidst the struggle of accessory companies trying to make a name for themselves, Bezalel is working hard to carve out their little piece. To be perfectly honest, I had never heard of Bezalel until I was offered the opportunity to review some of its items. We were lucky enough to receive three of the items that Bezalel offers and, as usual, have taken the time to try them out so you don’t have to. I have to say, the company’s clever use of magnets in its products may be what sets it apart from other device accessories. Finally, Bezalel has been gracious enough to offer our readers a 20% discount on all of these items using the codes next to the prices. Ok, no more messing around. Let’s get to it. Yes, you read that correctly. That says portable and wireless. This new toy is packing a 7000 mAh battery and an internal Qi wireless charger for any enabled devices. 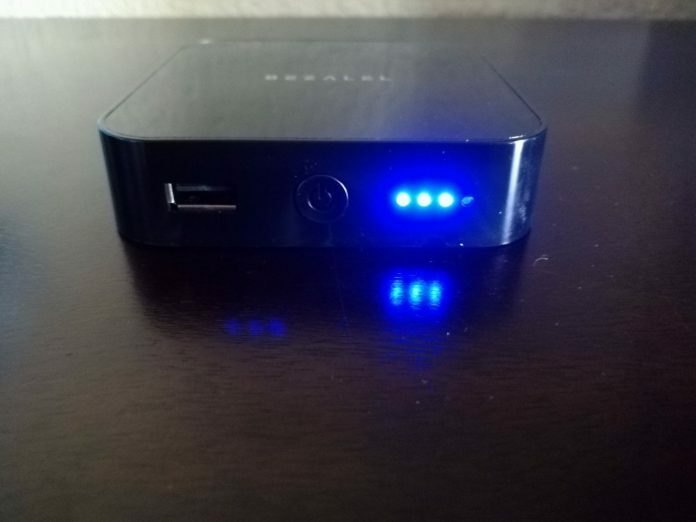 This device is pretty simplistic as are most portable chargers. The front sports a USB port, a power button and some LED’s to represent how much battery is remaining. The only other function piece on the Prelude is the USB type-C pot on the left side of the device which is used to charge it up. Stylistically, There isn’t much going on here. Not to say that the Prelude is an ugly device, it’s just very simple. Gloss black, rounded corners and a white label on the top. There is, however, one thing about the body of this device that could easily go unnoticed, there are magnets in the top of the body that are designed to align your device for optimal charging. Functionally it is very straightforward. To start charging, simply place your Qi device on top of the charger and press the power button. Alternatively, you can plug a device into the USB port on the front and charge away. Just for kicks, I tried charging two devices at a time and yes, it works. My only complaint with the Prelude is that it does not seem to work through the UAG case on my Galaxy S7. Granted, the UAG cases are relatively thick but, it is a little frustrating to have to have to remove the case but, I get it, power management and all. Item number two is a wireless charger. Out of the box, we see a classy wireless charging pad that may not strike you as anything special. Again we see a black plastic top with white labeling. The underside is clad in matte textured metal with rubberized feet to help from sliding around on slick surfaces. What again sets this product apart from a good amount of other wireless charging pads are the magnets that are placed inside. 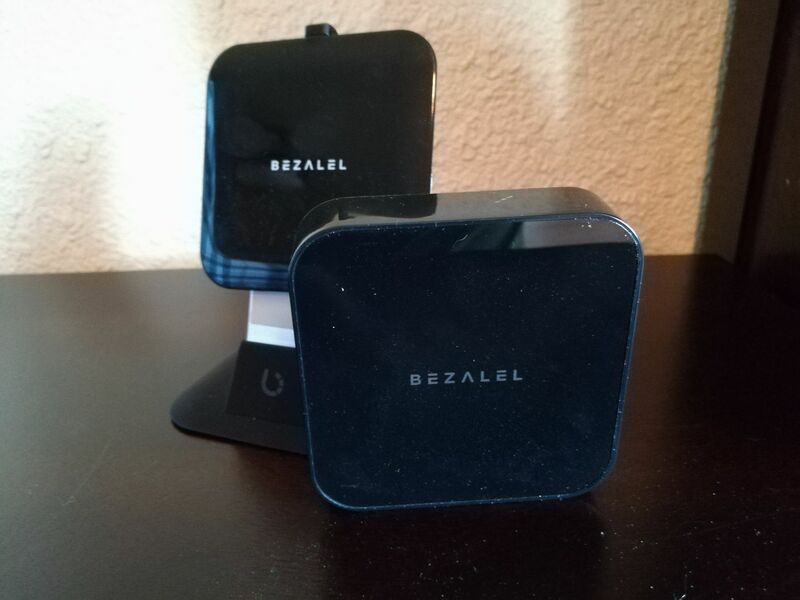 Yes, again we see Bezalel using magnets to align your device for optimal charging. During my experience with the Futura X, I did run into one instance of my phone not charging completely overnight. 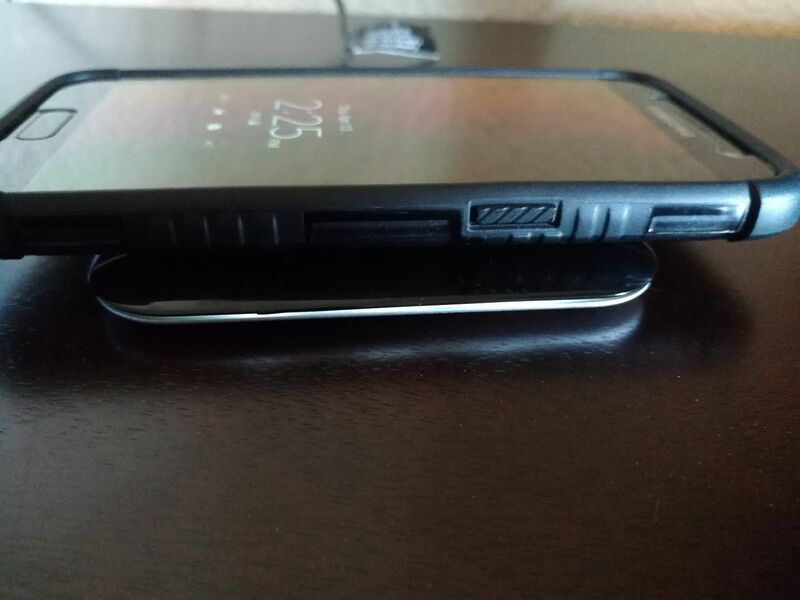 It seems that the magnets were not working because of the UAG case I have on my phone. The last item we’re reviewing is the stand. Upon first inspection, it is very nice looking. Picking it up you can tell that there is some weight to this. No worries about tipping over when your phone hits it, even if you use some huge phablet like the Huawei Mate 9. The rubberized bottom keeps it from sliding around and the metal back with matte finish completes the classy look of this stand. I have to tell you, it was not blatantly apparent how useful this device was when I initially opened it. 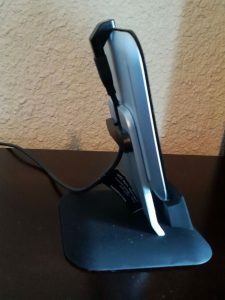 In fact, it wasn’t until I was going to write this piece that I took a look at the website and figured out that this is really an accessory for the Futura X wireless charger. So, the question you need to ask yourself would be, is it worth an extra $20 to charge your phone in an upright position as opposed to laying down? The stand again uses magnets to attach itself to the Futura X. The stand comes with an adapter and a magnetic clip which makes hiding cables a lot easier, for those of us that have CDO (that is OCD arranged alphabetically). 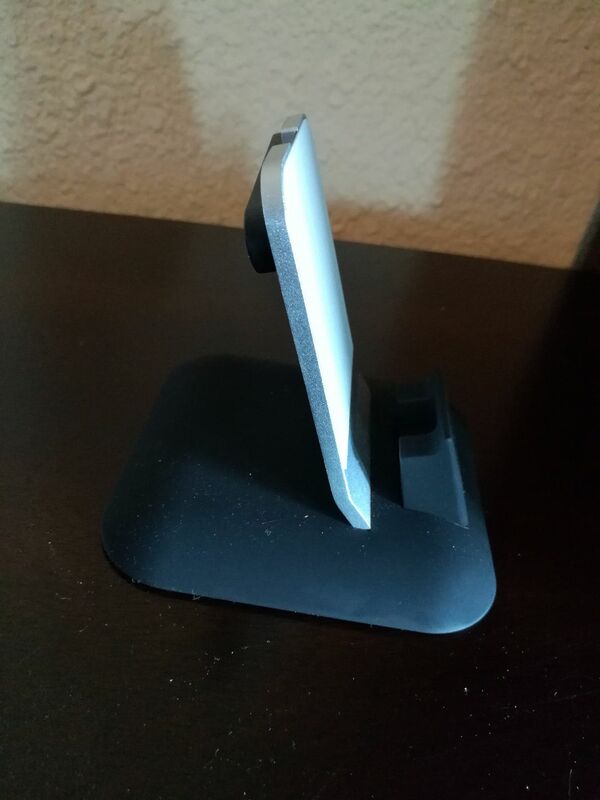 While this is a cool concept, you can pick up an upright wireless charger for less than the price of this stand. However, they may not be as stylish or use magnets for good alignment.